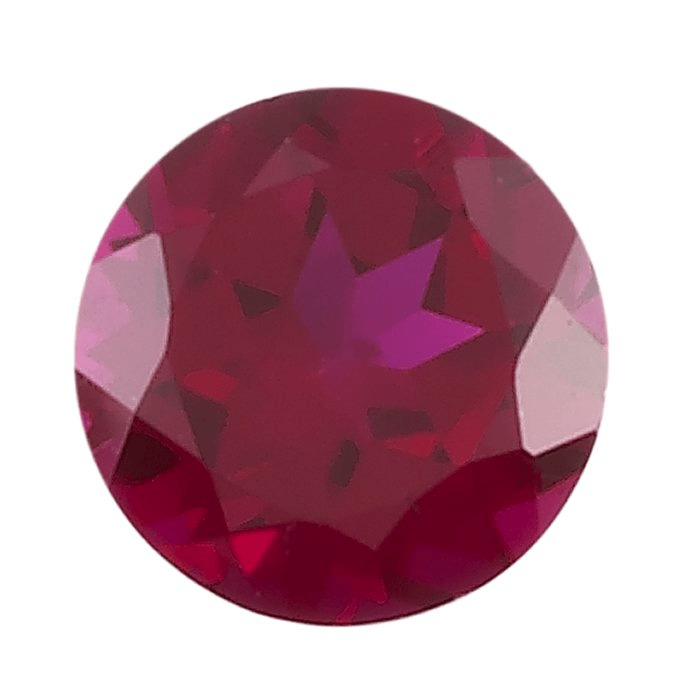 This simulated garnet is made with lab-created corundum (ruby). Color is a deep, rich wine-red. Garnet is the birthstone for January. • This stone can usually be cast in place safely; however, the process involves a great many variables, and there is always risk of damage to the stone. • This stone is suitable for firing in place in silver PMC using the schedule with the lowest-temperature settings. • Care: Wash with warm, soapy water. Avoid harsh detergents. Usually safe for both ultrasonic and steam cleaning.